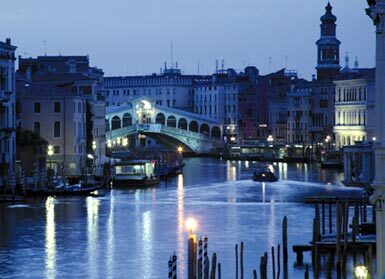 Venice is made up of 118 islands and is naturally known for its canals and bridges. 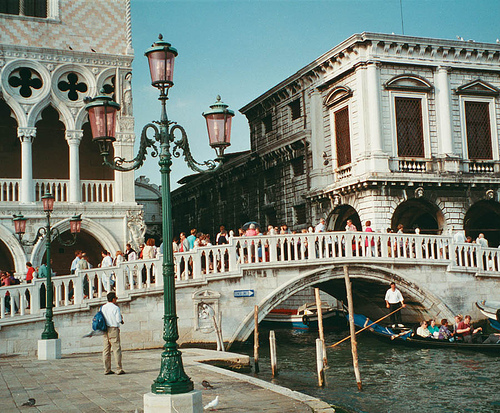 They are iconic images of Venice and everyone automatically thinks of the Rialto Bridge whenever the city is mentioned. 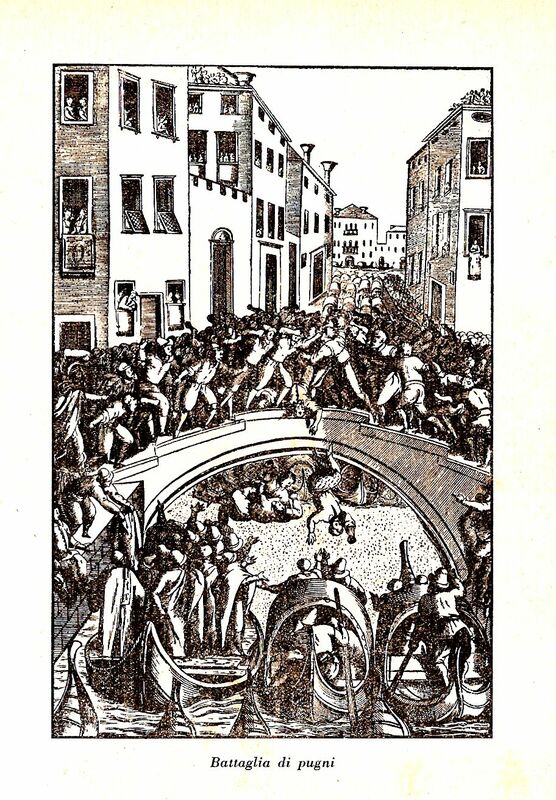 There are, however, some 400 other bridges that cross the network of canals and while most of these lead inconspicuous lives some have interesting tales to tell, none more so than the “battling bridges” from the late Medieval era. During this period it was commonplace for kings and lords to parade their troops, showing off their combat skills and technical prowess. Tournaments and competitions were regularly held in large open fields where crowds would gather and cheer on the combatants. Venice, however, is not blessed with many large open spaces so they developed an unusual solution. Armed groups of artisans and workers gather together and fight for possession of one of Venice’s many bridges. The intensity of these battles led to casualties along the way, with bruises, cuts and maiming commonplace, death could even result during some particularly hard fought contests. There are no documented rules and it seems to have been a drunken brawl that could go on for hours. Occasionally after much consumption of wine, the on looking crowds joined in, throwing roof tiles or even entering the battle and causing complete mayhem. 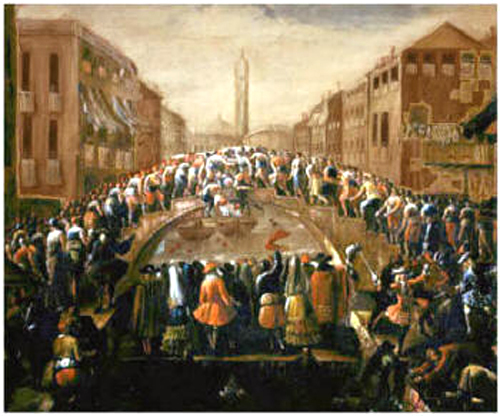 By 1600 the council’s clamping down on the stick wars meant they were replaced with “guerra di pungi”, the fist wars. 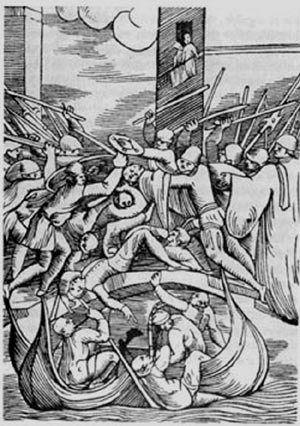 These were bare-knuckled fights that allegedly started during one battle in 1585 when one group ran out of sticks but carried on regardless with bare hands. Initially there were demonstrations of single combat before the main battle but gradually these boxing matches took over as the main entertainment as the boxing became the popular spectacle. 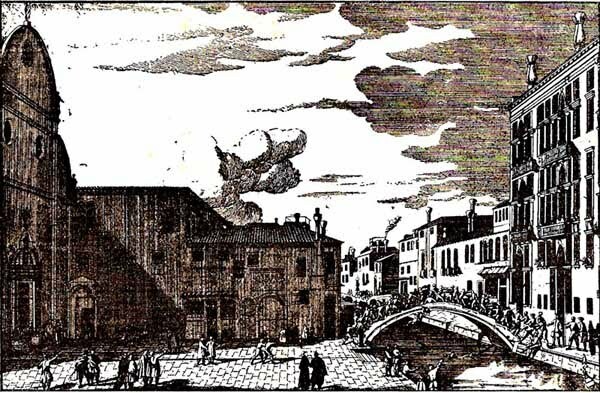 In 1705, however, the Venice Council of Ten finally banned the public fights and they disappeared into history. There are still the reminders of this unique time in Venetian history to be found at some of the most popular warring bridges. Set into the pavement of the Ponte Pungi and the Ponte Guerra are marble footprints. These are the points from where the boxers would start each round and where they would return once the round had ended. If you would like to take a self-guided tour of Venice we have published a helpful 3-Day Walking Guide to aid you on your travels, alternatively contact us for information about our rich and entertaining guided trips around the wonderful Italian countryside. This entry was posted in tours, Travel and tagged bridges, canal, fights, hisrtory, holiday, Italy, tradition, vacation, Venice. Bookmark the permalink. i didnt know about this, great take on the sights of the city!